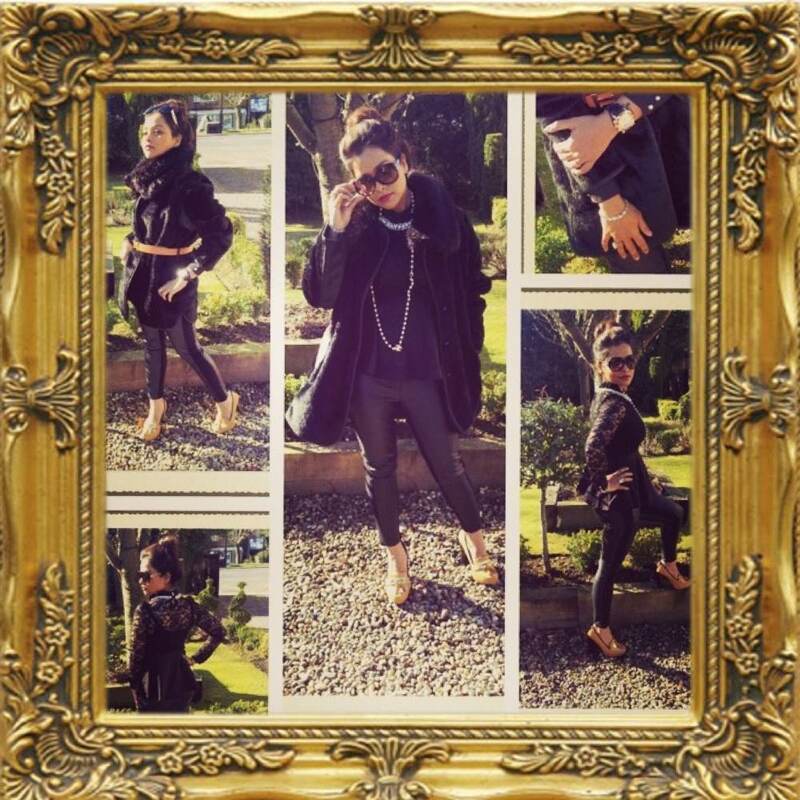 This page will feature all of our daily outfit posts, showing you how we have worn the latest trends each season. Hope you enjoy looking at them as much as we enjoyed adorning them. This look is our take on casual layering for Spring. With the colours being light it keeps the look very s/s13, the white jumper (a key trend this season!) is the perfect piece with swarovski jewel shoulder details to layer over a fitted crisp blue shirt. 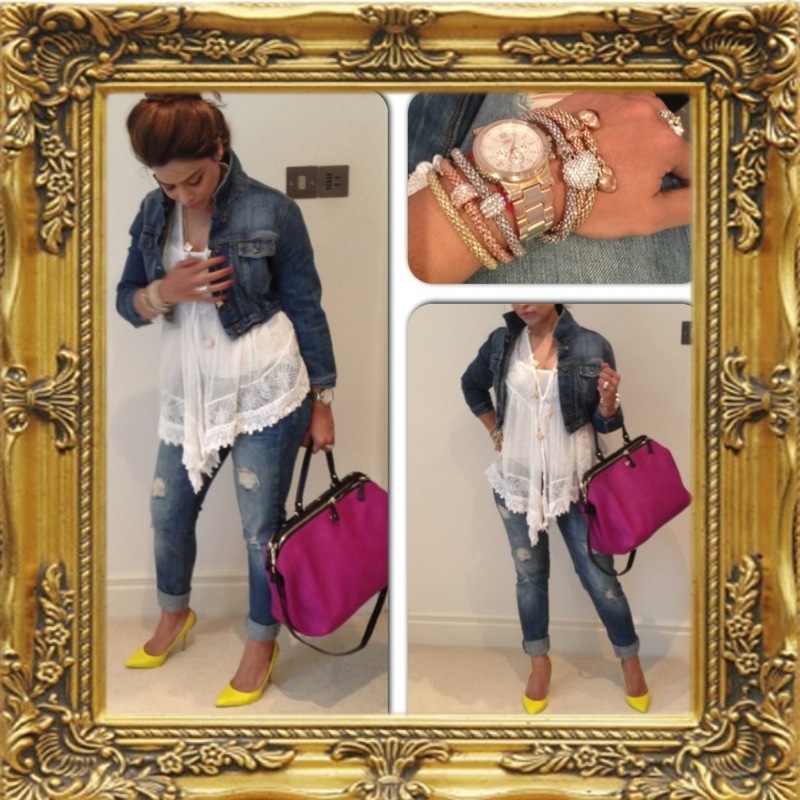 The jeans are a light wash with distressed elements, denim is also a strong trend this s/s. With the typical British weather being so cold and glum we can’t leave the house without our fur for an extra layer. Extra details include exotic skin, gold plated cuffs and heeled boots. Mono colour was spotted on the runway this season, so here we have gone all black with tan details. To stop black from being boring, textures have been used, including; our very own Love Niche high pearl collar long sleeved lace peplum top (trend alert!!) 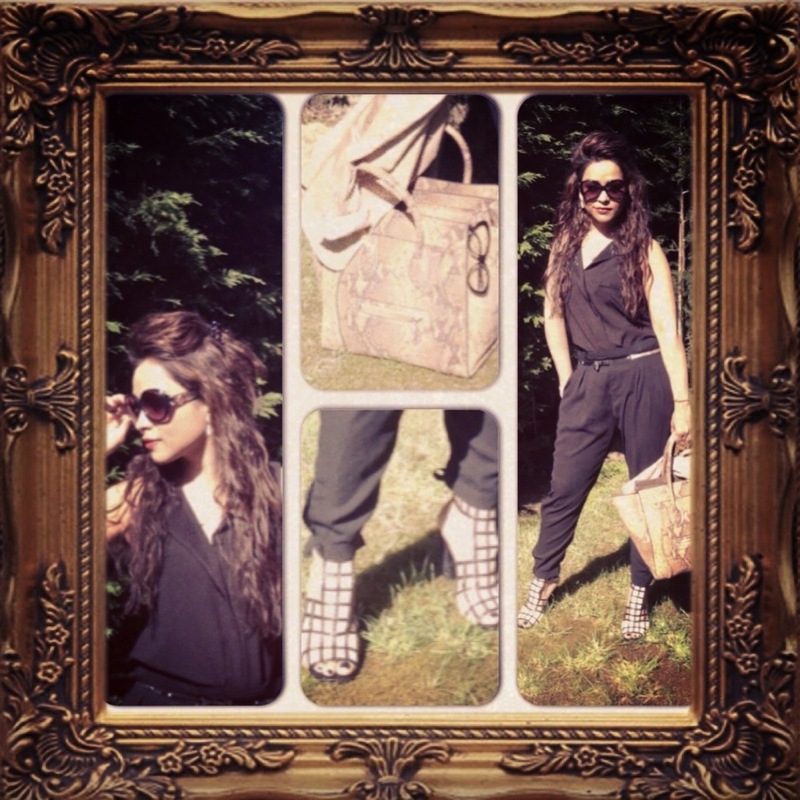 and ankle grazer leather trousers. Layering isn’t just for clothing, you can also layer jewellery, here we have layered pearl necklaces which are very classic. Again the fur was donned (black to match the mono colour scheme) and cinched at the waist with a tan belt, to beat the British chill! 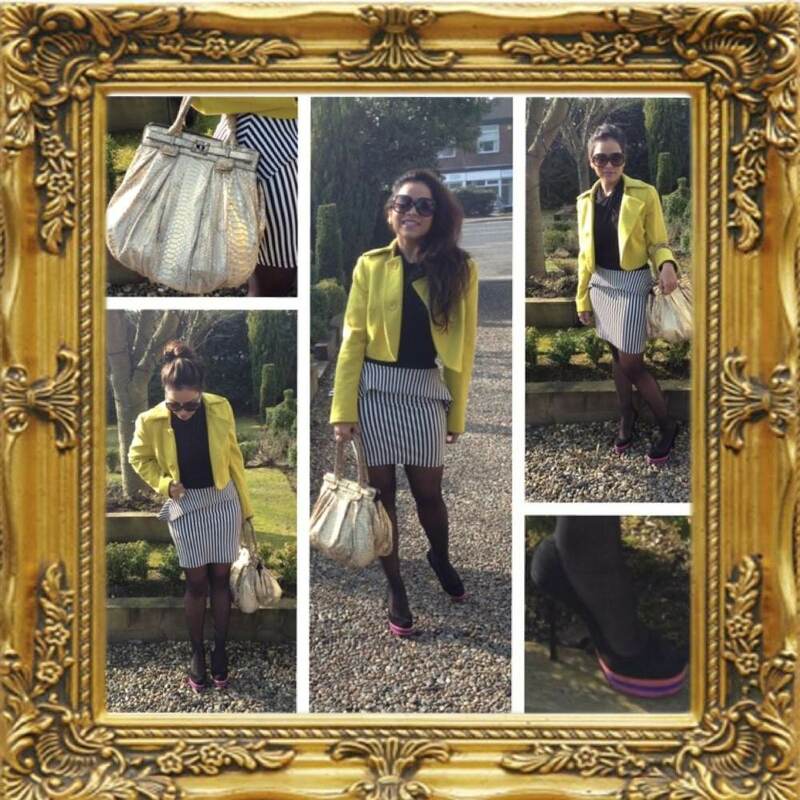 A pop of colour is a MUST for this season, in this look we have chosen a bright yellow cropped blazer. We teamed the blazer with a simple black blouse and a striped monochrome (both of which are latest trends) skirt with peplum detail at the waist which is very flattering. To not over power the blazer we have styled this look with plain accessories including a gold bag and black heels with a striped colour block platform. Two trends in one; high shine lace and monochrome! This look is very elegant and classy, we think every woman’s s/s13 wardrobe NEEDS a pencil skirt. 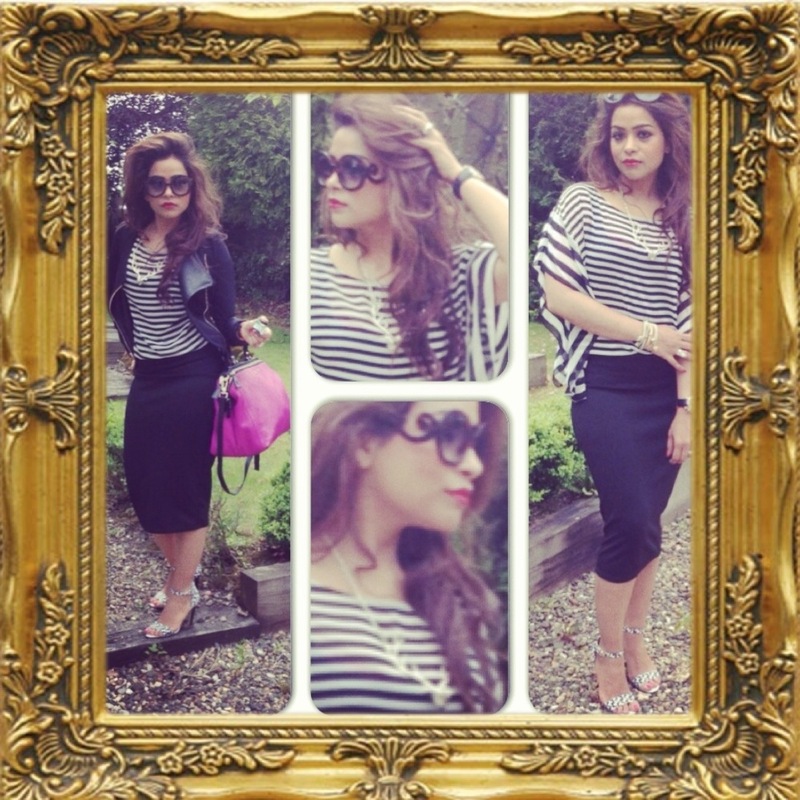 The pencil skirt in this look is very flattering with paneled monochrome, creating a very slim silhouette. Striped patterned tights are showing off yet another key trend, stripes, and the tan leather heels add another element of colour and texture to create a more interesting look. With the spring sun trying to peek out, yet snow is still lying on the ground here up North we found this look to be ideal for the transitional period. High waisted pieces are set to be another trend for this year, so we have chosen highwaisted navy trousers, with a fitted blue shirt. 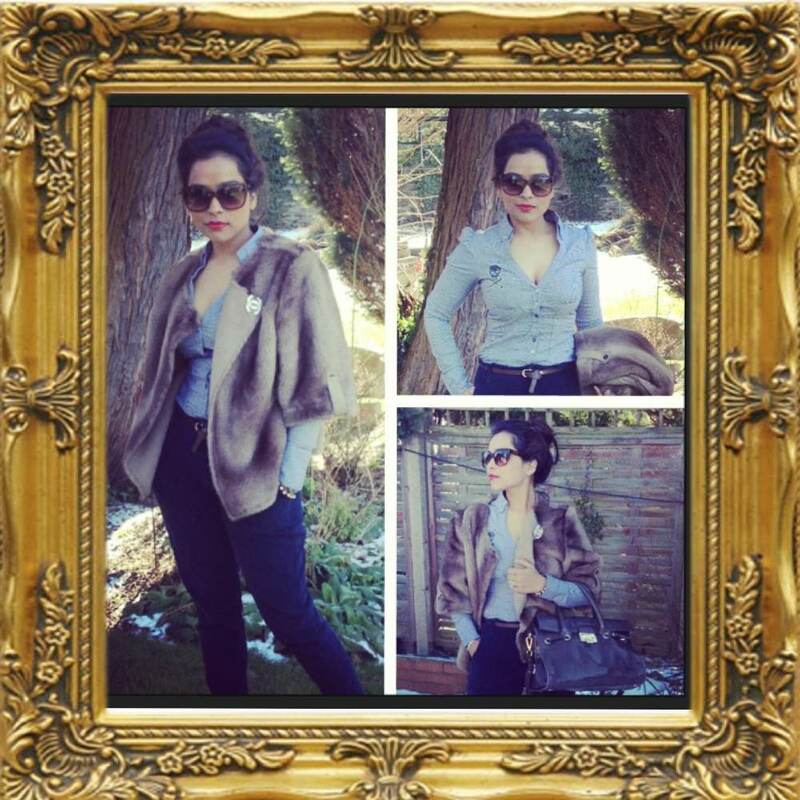 To finish this look off gorgeous fur jacket in browns, a brown belt and bag. Cobalt blue is one of the many colours you will see in stores this s/s. 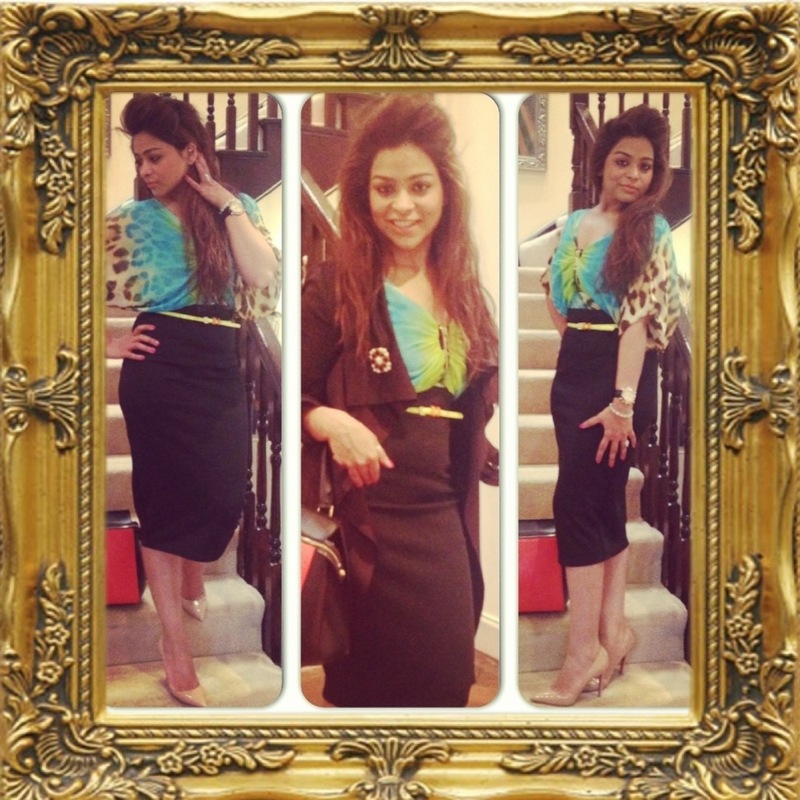 This is our take on the trend, we have styled it as the accent colour to this outfit. The top is a delicate white lace, paired with animal print trousers which are slim fit to counteract the looser fitting top. The colour block coat in cobalt and black is from our very own Love Niche label (available from our styling studio in Newcastle) and the wedge heel is also in cobalt. 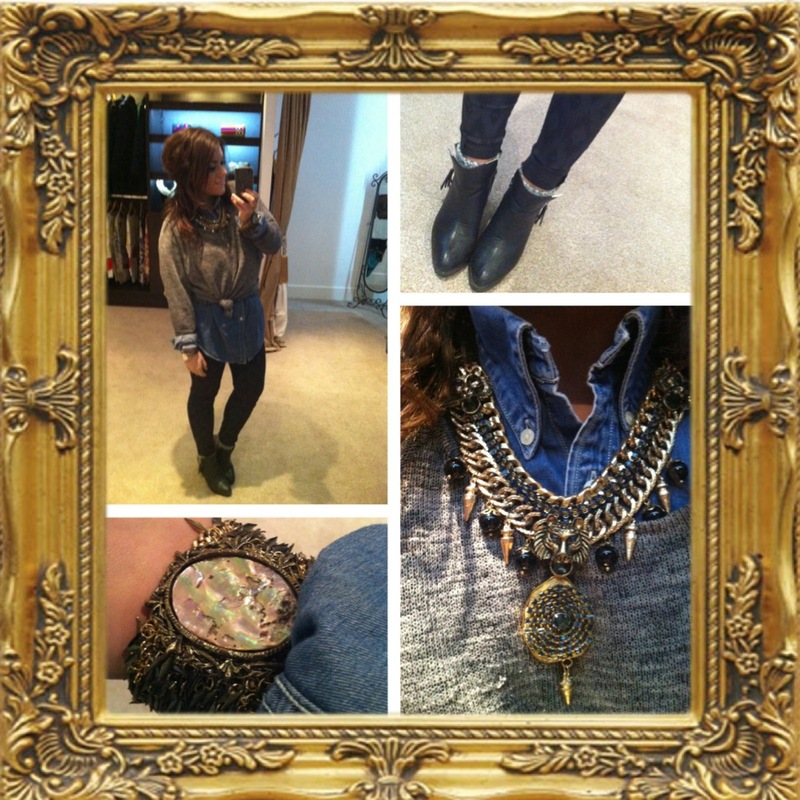 Todays outfit is casual fridays for spring! Lots of textures in todays look with matt leather trousers, silky monochrome blouse over a knitted bright lemon jumper (colour trend combo!!) with the added layer of faded vintage looking denim jacket with a fur collar to keep out the chill! 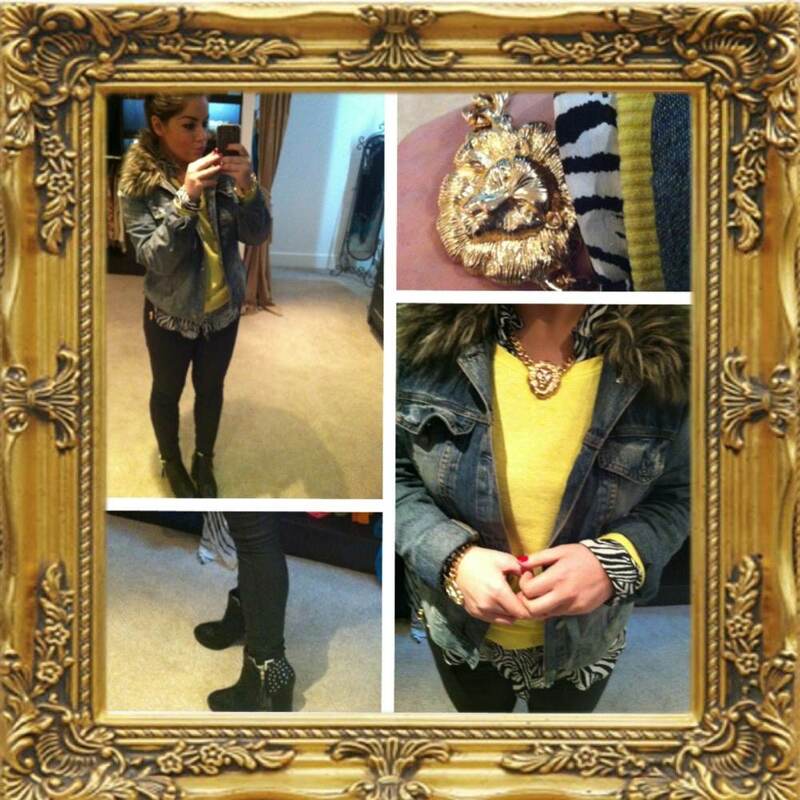 We finished off the look with matching gold lion head chain necklace and bracelet and small heeled studded leather boots. 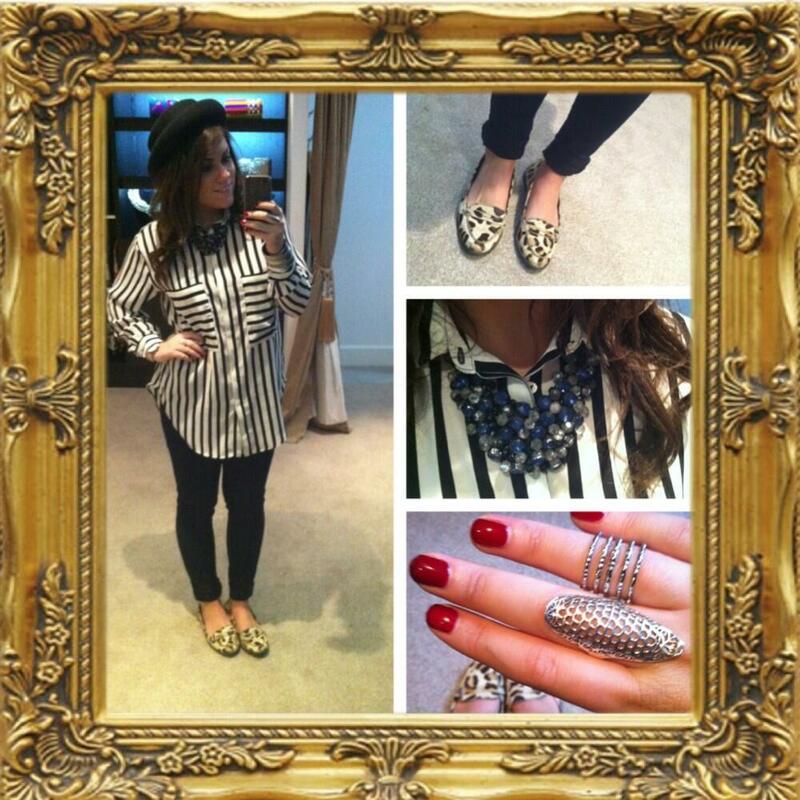 Monochrome stripes are a must have in any wardrobe, today we have gone for a shirt by love niche. To keep it simple and clean, focusing attention on the shirt we have gone for skinny jeans in a dark colour. We added a pork pie hat, silver rings, crystal beaded necklace in silver, navy and cobalt for a pop of colour and leopard print loafers, with animal print being another latest trend for spring/summer 2013. Our second look for today is channeling sport luxe chic, featuring black leggings with a thick white panel running down the outer legs. They have been teamed with a crispy white pussybow shirt, a fade out black/grey fox fur belted gilet, and a bright pop of colour with a red coat for that much needed extra layer! All available from Love Niche! 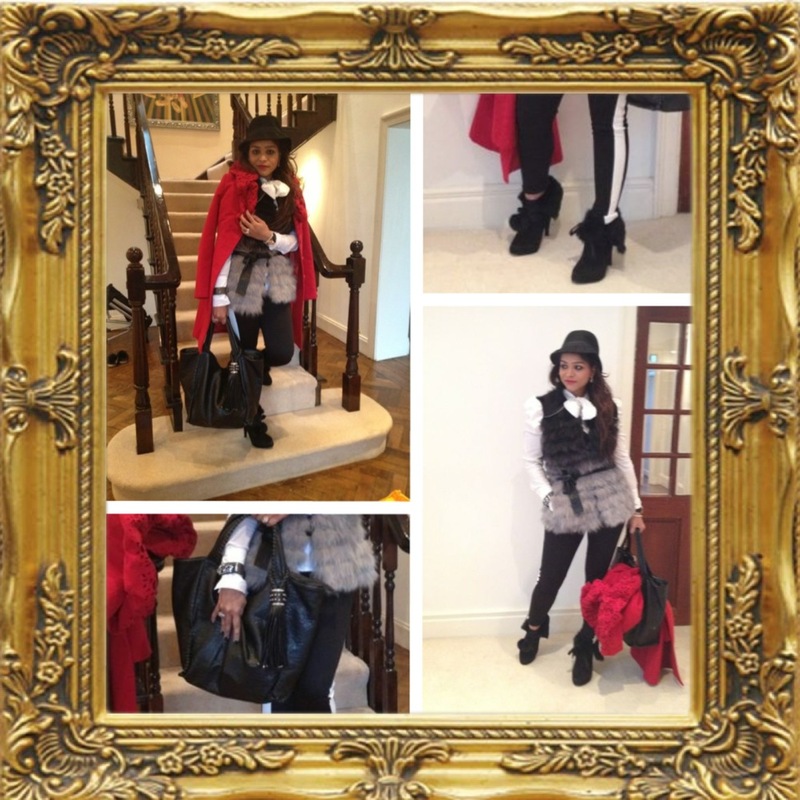 Details include cute rabbit fur boots, a large black leather bag with over-sized tassel detail and black fedora hat. Layering has been a must so far this year! So to mix it up a little bit we have played around with textures in today outfit layering a fine grey knit over an oversized boyfriend fit denim shirt, paired with on trend patterned trousers. To finish off the look we accessorized with some amazing pieces of jewellery from outhouse including this fab thick gold chain necklace with swarovski and jewel elements, complete with lion head and beads. Also this gorgeous wide bracelet covered in spikes and a mother of pearl face. Monochrome stripes and hot magenta pink are the pick of the day in the house of Love Niche! This on trend blouse is part of the new collection available from Love Niche, teamed with a high waisted hot pink wrap skirt to break up the monochrome theme and add a bright pop of colour and tights. To finish off the look we added a wide waist belt with different stones in browns and creams, multiple gold rings and black rabbit fur boots. 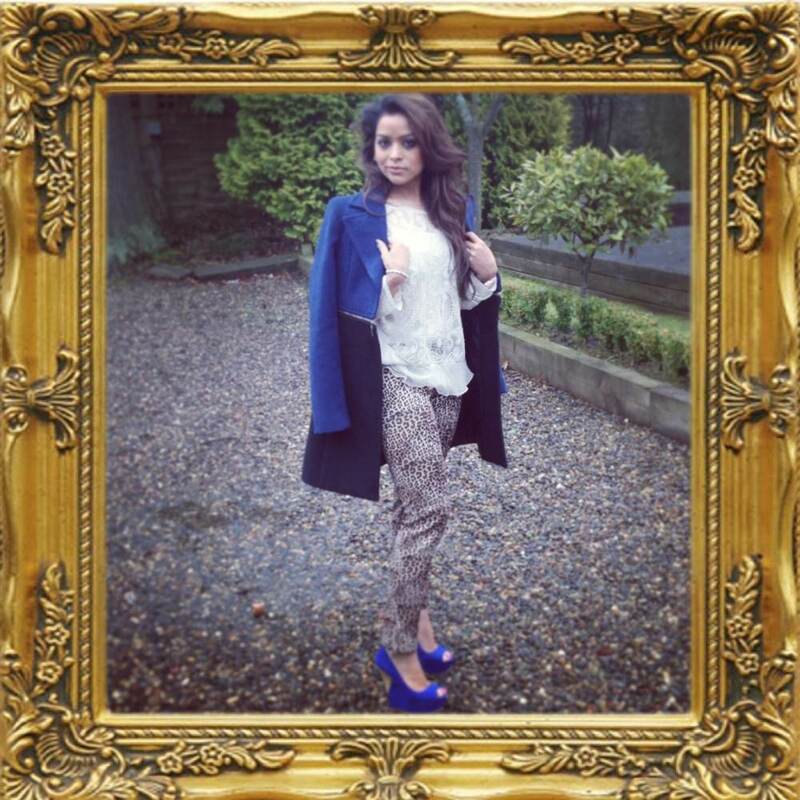 More outfit posts coming soon..keep looking ! You are my inspiration, I have few web logs and very sporadically run out from brand :). “Truth springs from argument amongst friends.” by David Hume.